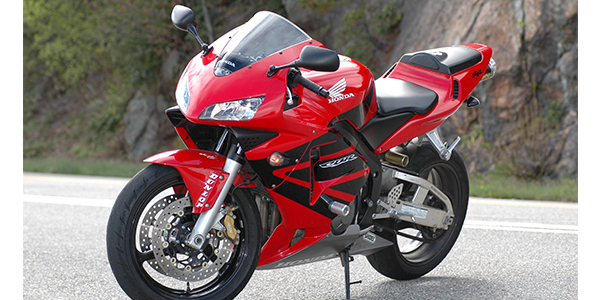 Sport bikes are so fast it is hard to enjoy them on the street without danger to life and license. Taking them to the race track allows the rider to enjoy the upper end of their performance envelop in a controlled environment free of slow cars, double yellow lines and speed limits. A totally stock modern sportbike is incredibly capable at the race track, but the maintenance needs will be accelerated. If you compare the maintenance schedules of a CBR600RR and a CRF450R, you will see the difference between race use and street use. The engines are completely different and the CRF would require more maintenance under any circumstance, but the point is, when a vehicle is used in competition or a similar constant high-performance setting, it will require shorter maintenance intervals. 1. The brakes are critical on the road course. 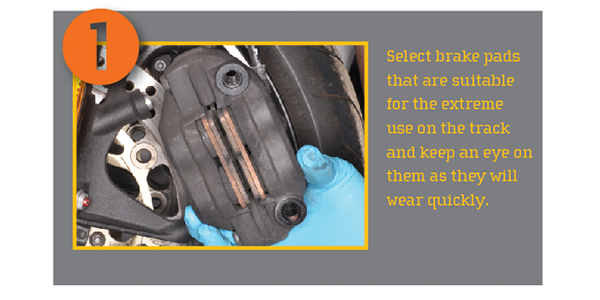 Select brake pads that are suitable for the extreme use at the track and keep a close eye on them. They are going to wear quickly. 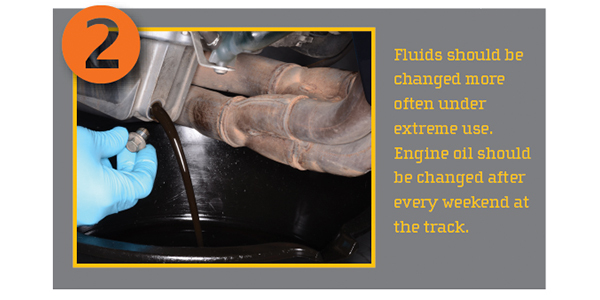 The brake fluid needs to be fresh and free of air bubbles to prevent fade. Old, water-contaminated brake fluid won’t be able to deal with the extreme heat of track use. 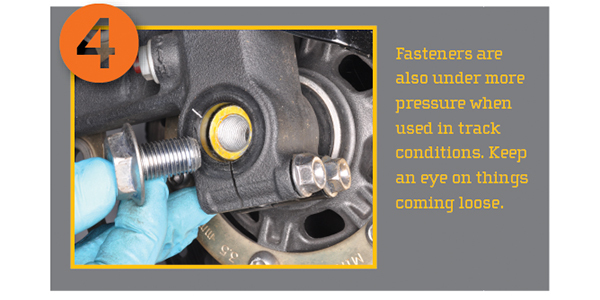 To further reduce the possibility of fade, one may want to upgrade to steel-braided brake lines. Tires are also going to wear differently on the track. Slick or DOT race tires may have special requirements. The tire manufacturer may have specific instructions for heat cycling, tire warmer use, hot and cold tire pressure and compound choice. The tire pressure should be checked continuously throughout a track day. The tire should also be inspected for wear. Pay close attention to the whole tire as track use may result in uneven wear. Slick tires have small circles for tread depth inspection. Make sure to check all of these around the circumference of the tire.  2. Fluids should be changed more often under extreme use. Engine oil should be changed after every weekend at the track. The coolant may need to be changed to track/event-approved fluid, and it can’t hurt to flush the system as it needs to be functioning well to deal extended hard running.  3. 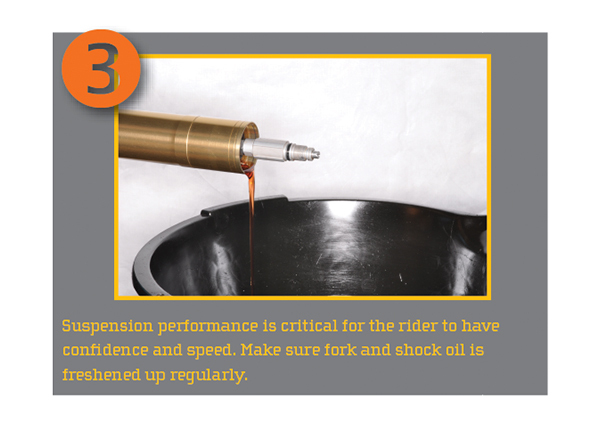 The fork and shock oil should also be freshened up regularly. The suspension performance is critical for the rider to have a good feeling and be able to ride with confidence and speed. Having the stock suspension in good condition and set up for the rider is extremely helpful and should be the starting point before jumping into revalving or upgrading components. 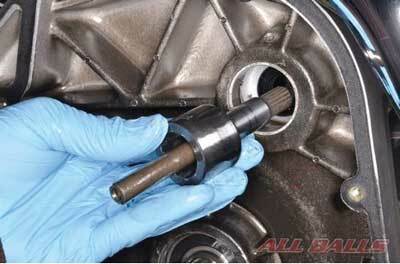 4. The fasteners will be much more likely to loosen under rowdy use. Keep a constant eye for things coming loose. Safety wiring components to keep them in place isn’t terribly difficult with some special tools. Some items to consider for this are anything fluid related like oil and coolant drain bolts, axles, axle pinch bolts and brake caliper mounting bolts. Check with the event organizers for tips and requirements. 5. The chain and sprockets are going to wear faster too, and there may be multiple sets for different final gearing configurations. The track tech inspector will fail the bike if the slack is too tight or loose. Many track folks want to see a chain on the slacker side of the specification. 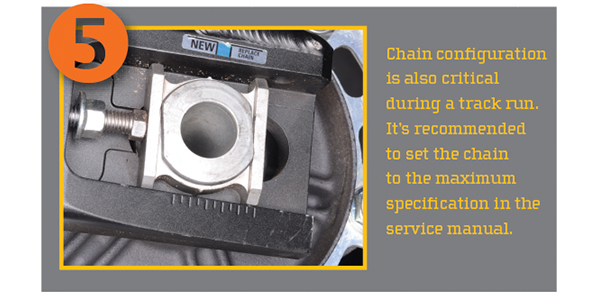 Consider setting the chain slack to the maximum specified by the service manual.